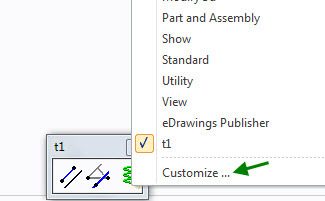 Creo Tip How to delete command items from a toolbar ? Subject: How to delete command items from a toolbar? ? Now when the Customization Menu is opened on the viewport, then you can click and drag the undesired command out of the toolbar.